← Ladies Fingers and Naked Ladies ! Music -“Royalty Free 1920s Music 071” from Royalty Free 1920s Music, Vol. 2 (Special Edition) by 1920s Music Firm. Released: 2011. Where did this question come from, you’re asking? 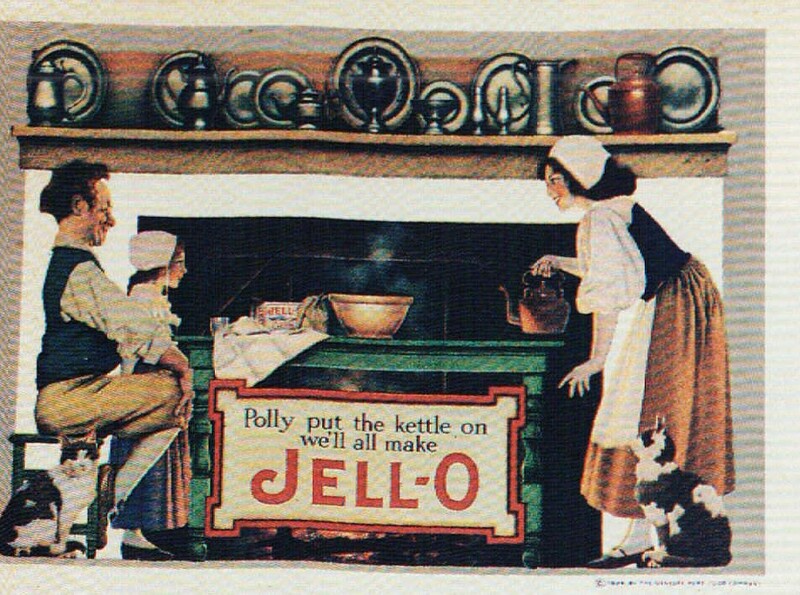 What does Norman Rockwell have to do with Jell-O, anyway? Well, keep reading for the answers. 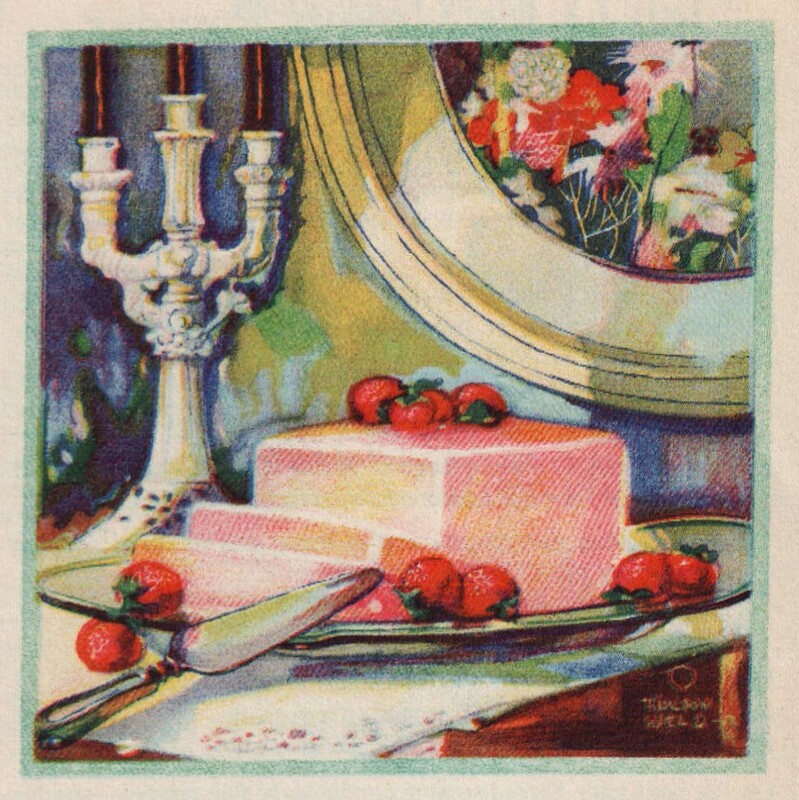 In the early part of the 20th century, especially between 1900 and 1935, there was a proliferation of beautifully illustrated pamphlets from food manufacturers, designed to be distributed to homemakers and cooks (they are not necessarily mutually exclusive). For the most part, they were free, or one could write to the manufacturer for the cost of a postage stamp to receive one. Many were small booklets, with fifty or sixty pages, or more. Some were just pamphlets with a few pages. 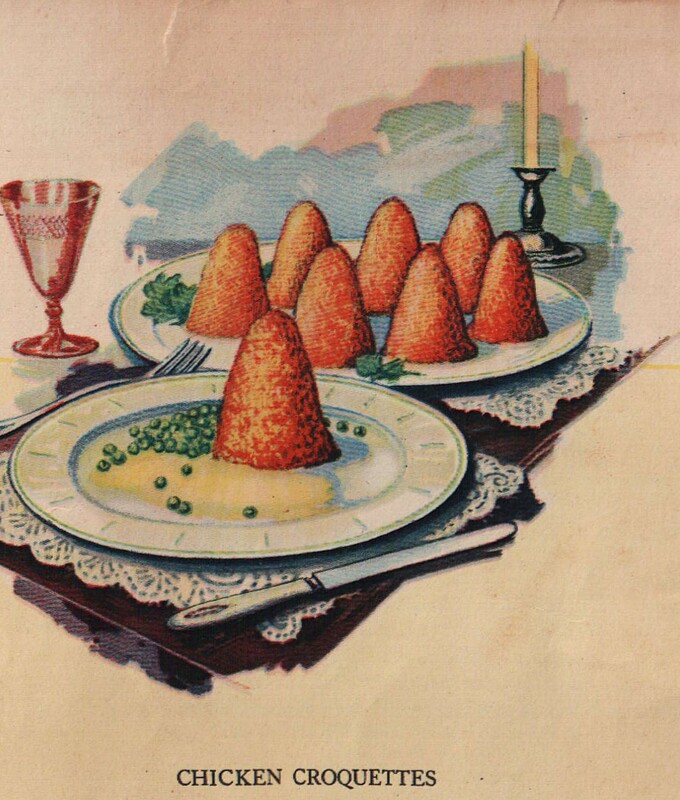 Whatever size they were, the colour illustrations provided were created, for the most part, by unknown artists. Some came to be well known as a result of their previous artistic endeavours: Norman Rockwell, Maxfield Parrish, and Rose O’Neill. 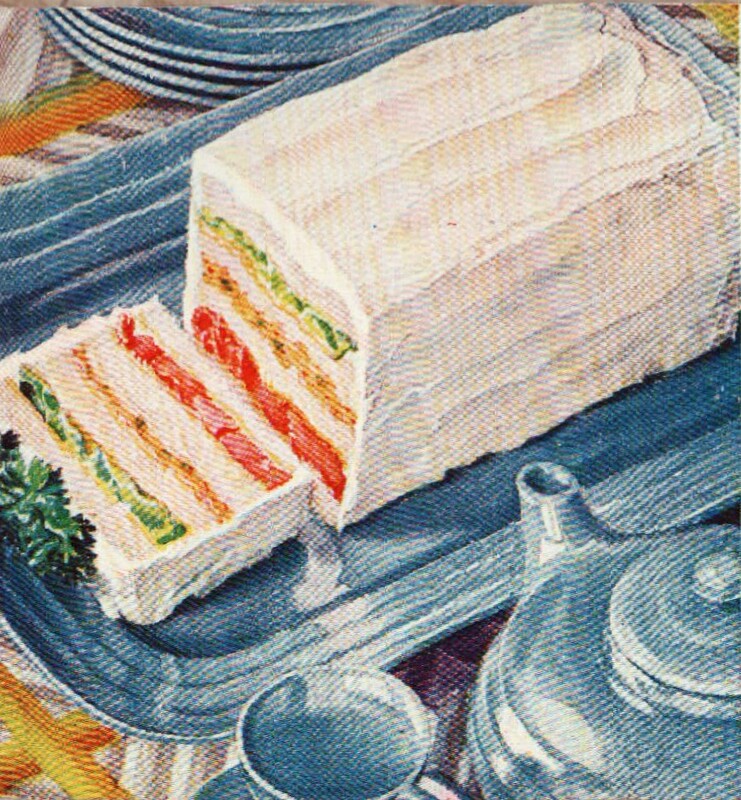 All three of these artists painted cover illustrations and food illustrations for Jell-O, when the initial company was known as the Genesee Pure Food Company. 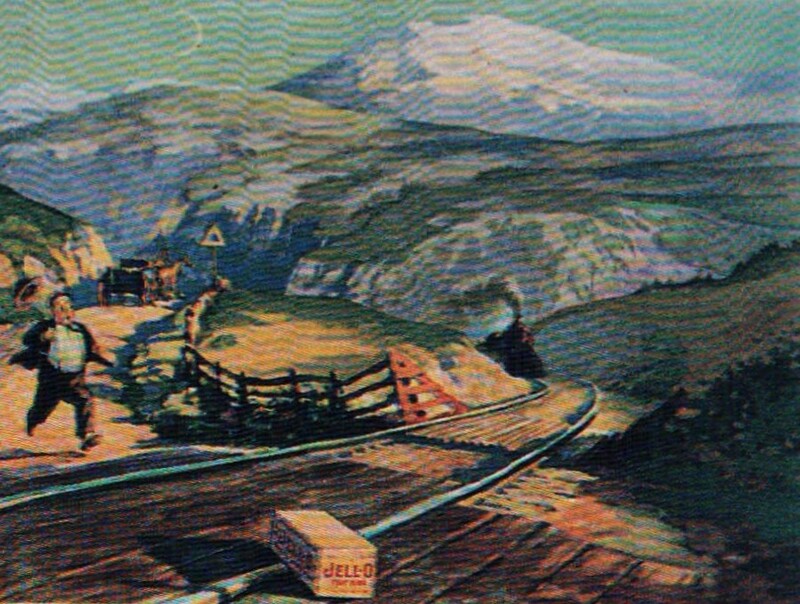 Most of the artists, who painted these illustrations, do not appear to have been noted in any of the booklets, and the archives of many of the companies make no mention of whom they were. Of course, so many of those early companies either died a natural death, or were absorbed by the larger conglomerates, such as General Foods, Kraft, etc. 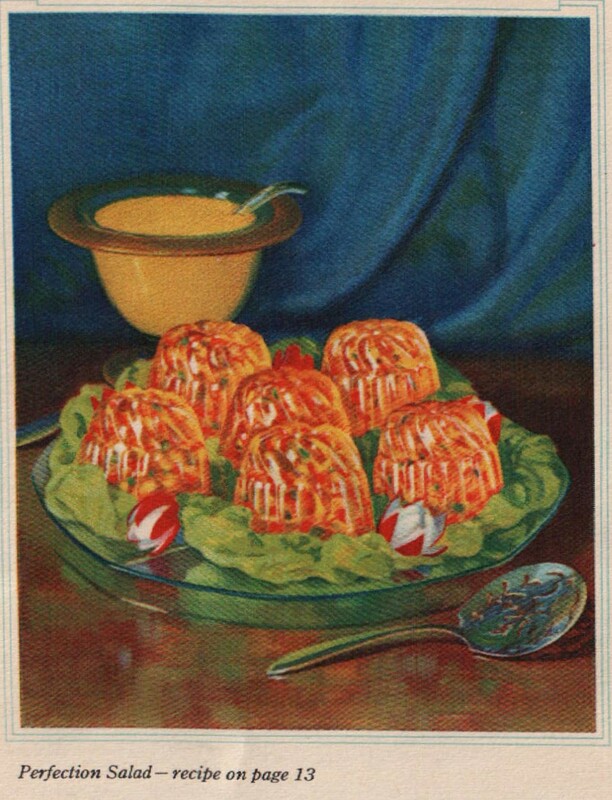 and have all but disappeared, except if you happen upon some of these lovely advertisements. Below is a gallery of some of these gorgeous illustrations. 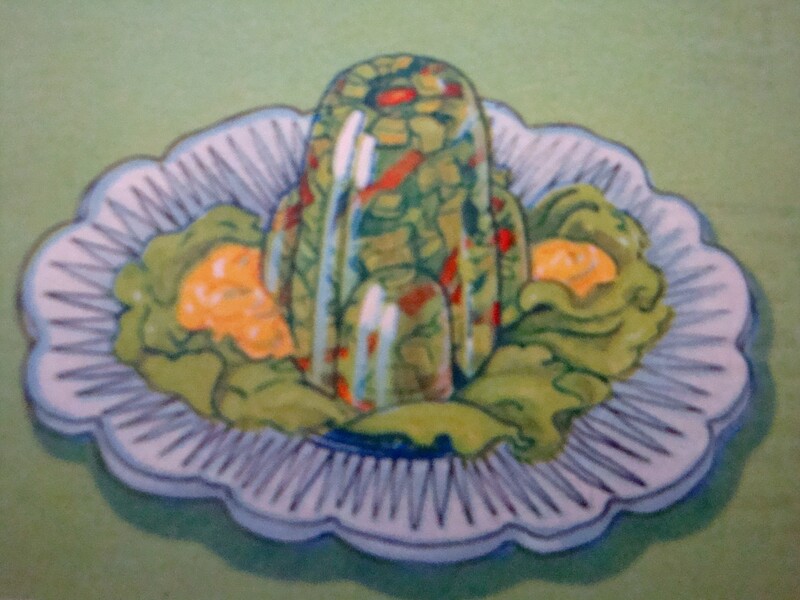 “Golden Salad”, 1933, Charles B. Knox Co.
“Jell-O Ice Cream Powder”, circa 1925, The Jell-O Company, Inc.
“Purity Christmas Cake”, 1923, from Purity Flour Cook Book, Western Canada Flour Mills Co. Ltd.
“Perfection Salad”, 1929, Charles B. Knox Gelatin Co.
“Fruit Bavarian Cream”, 1930, Charles B. Knox Gelatine Co.
“Roast Chicken”, 1923, Purity Flour Cook Book, Western Canada Flour Mills Co., Ltd. At first glance, it looks like a polydactylous chicken! 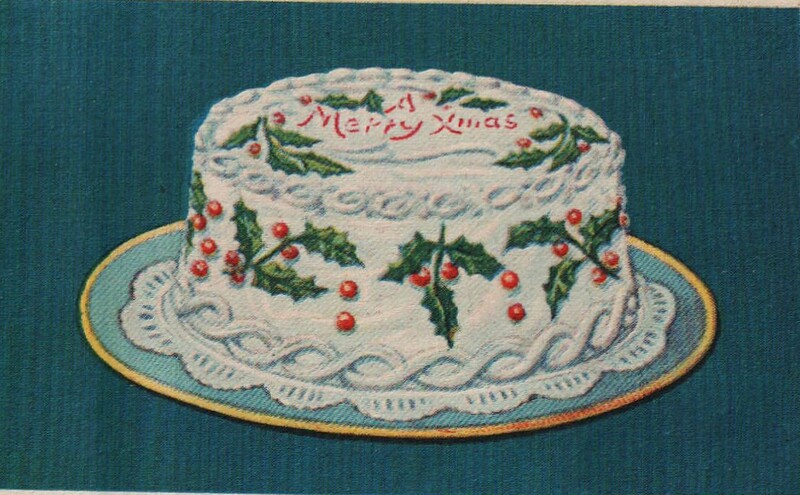 over the mouthwatering photographs of the finished product. 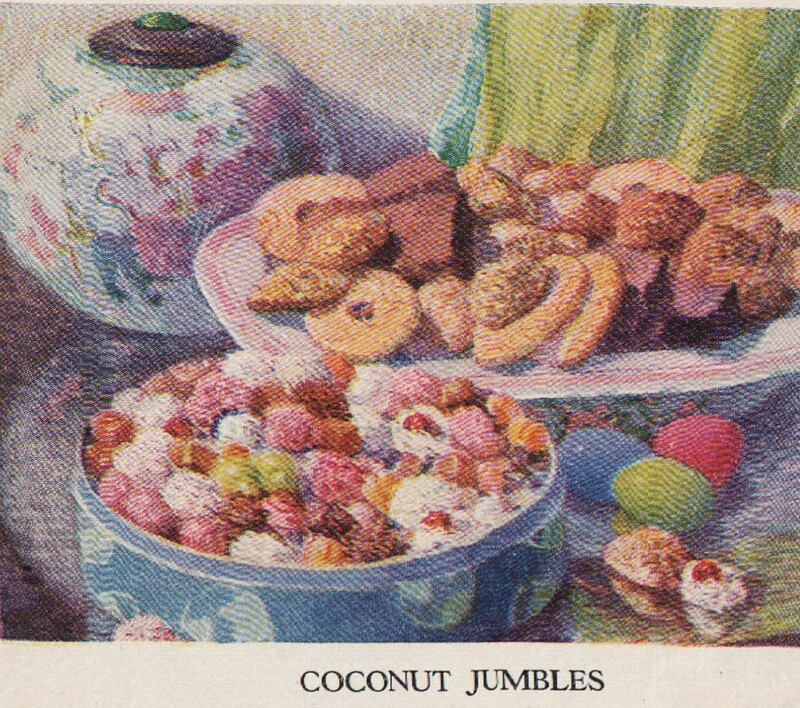 Many of the vintage cookbooks in my collection, especially from the 1920’s and 1930’s, are text only, with no illustrations, which truthfully, are kind of boring and not very inspiring. 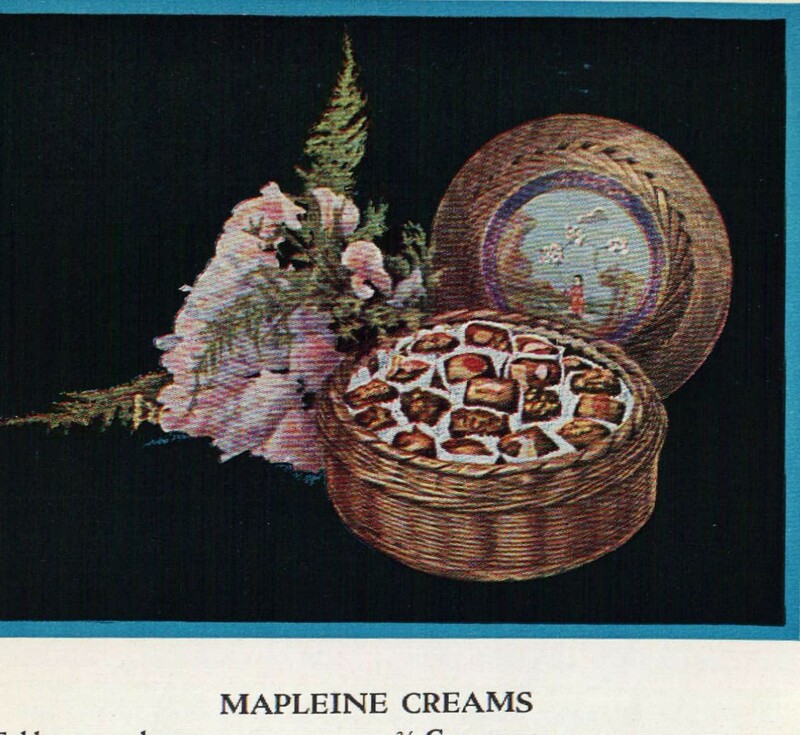 But, the booklets and pamphlets from the same time period were crafted by the manufacturers to make you want to buy their product, and the lavish illustrations probably did just that. 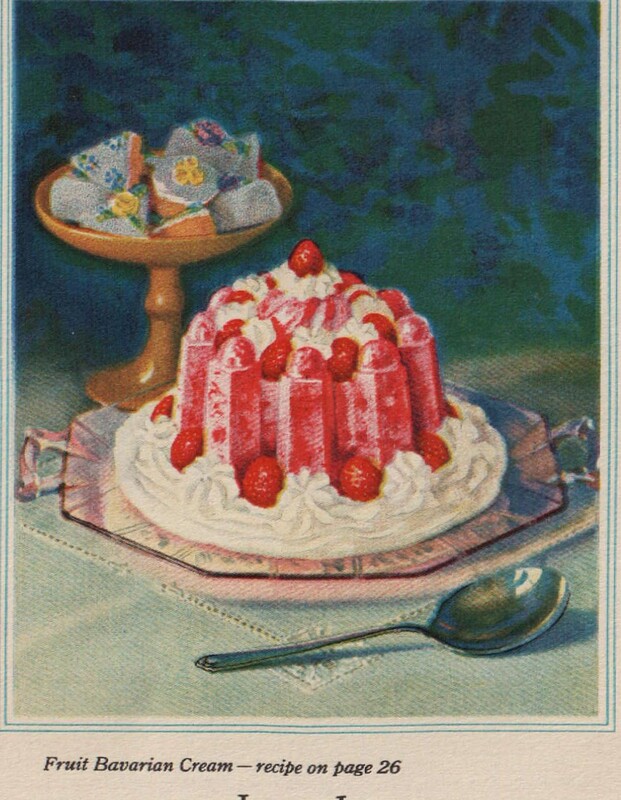 From “Macaroni Papoose”, to “Mapleine Creams” and “Cherry Almond Jell-O”, judge for yourself. 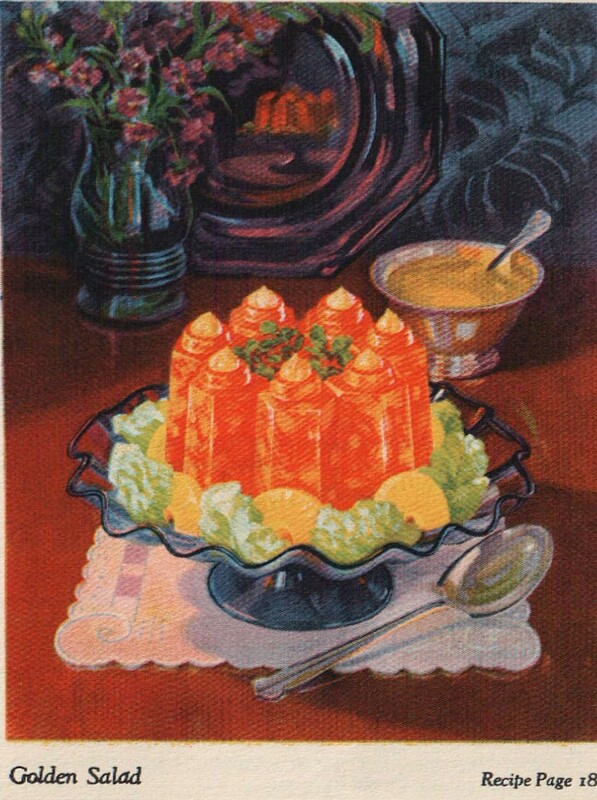 This entry was posted in Cookbooks, Cooking, Cooking and Social History, Eating, Food Trends, Uncategorized, Vintage Cookbooks and tagged cookbooks, Cooking, food history, Illustration, Jell-O, Mapleine, Maxfield Parrish, Norman Rockwell, Rose O'Neill, social history, time capsules. Bookmark the permalink. 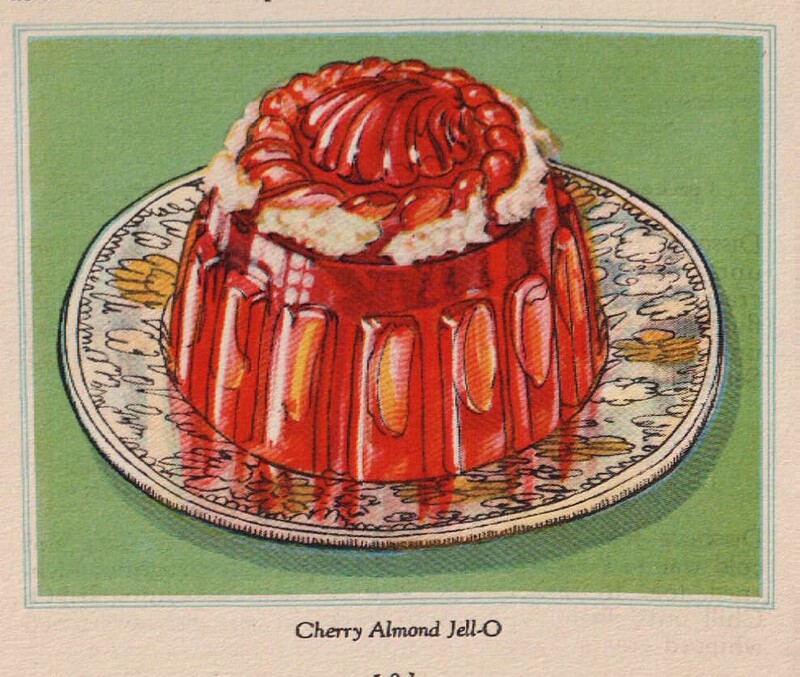 2 Responses to Did Norman Rockwell Really Like Jell-O? Wonderful pictures! 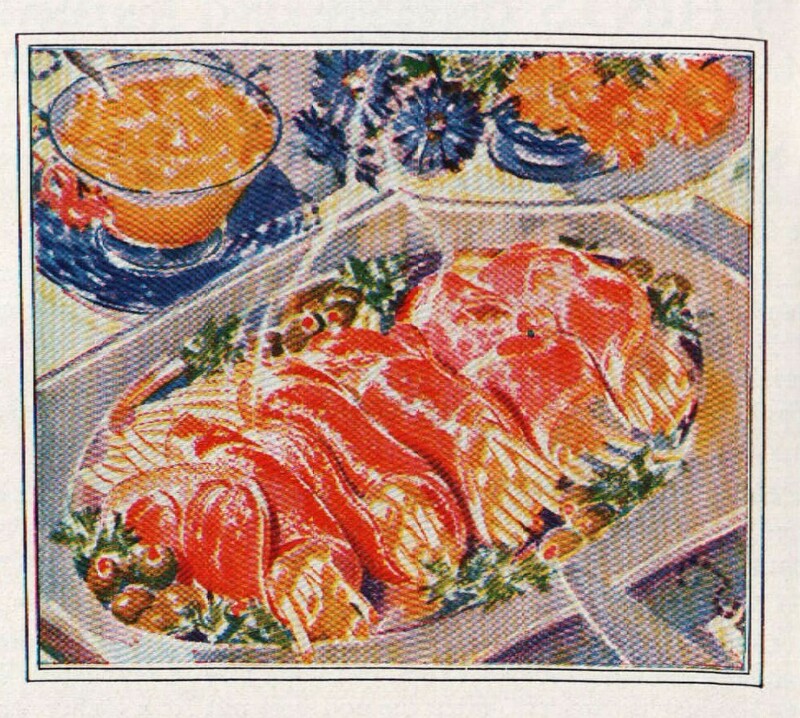 In many ways the illustrations from the era have much more character than photos today. 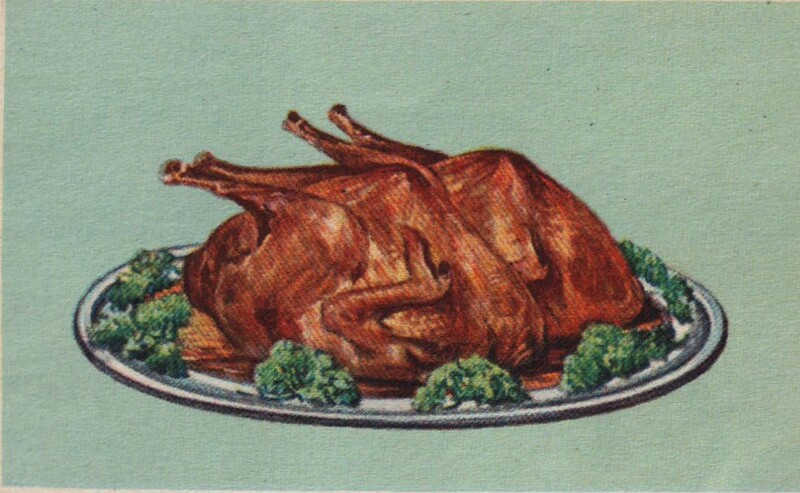 I do wonder how cookbook art progressed from Norman Rockwell illustrations to the kitsch art of the 50’s. Well researched! Love the images.